Some one explane how a 300mm lens with a 4/3 system is the same as a 600mm lens on a 35mm body. With the advance in High ISO I think this will be the route to go for me. I cannot believe the high ISO with the k-5 and IQ. If some day soon i can get the same out of a 4/3 system with a 300mm lens ??? My goodness this would be great. Is it the wave of the future? A 300mm lens is a 300mm lens. If you take a photo with a 300mm on a 4/3 and a photo with a 300mm on a FF and crop the FF photo 2x the pictures will be identical. A 300mm on the M4/3 system is equivalent to a 600mm 35mm system in terms of how the picture looks. Too my understanding. The lens doesn't magically change focal lengths but instead because of the smaller sensor on the M43 system what the camera sees is equivalent to what a 35mm system would see if it had a 600mm lens on it. Mind you number values maybe wrong. 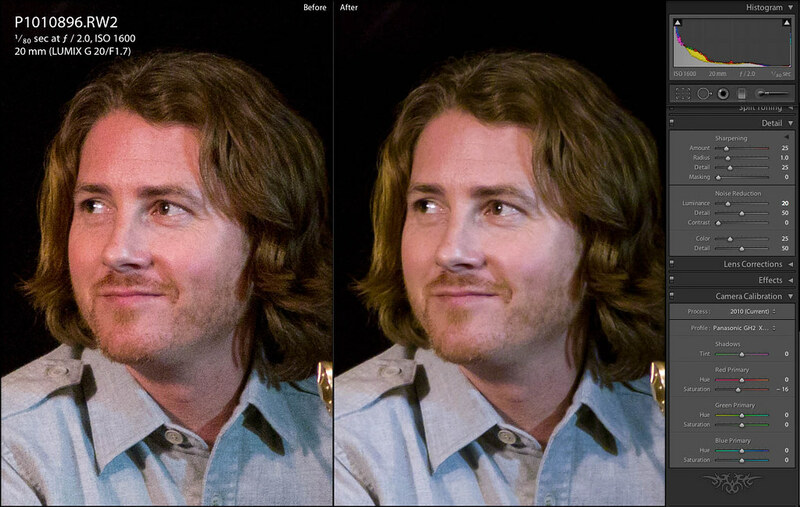 A 2x crop factor seems like a lot. A 4/3 sensors have a 2x crop factor because they are approximately 1/2 the size of a 35mm frame. Going to have to give that some more though. Thanks for the link, and the info. Can include a good picture from the Wikipedia link for easier access. And a smaller sensor means more noice and hence less good low iso performance. A 4/3rd sensor on the same technology as in the K-5 sensor will not behave the same way. It will yet take some time for 4/3rds to catch up with APS-C. In addition, depth of focus depends on the format, which is something that no technological development can change. It is pure physics. The bigger sensor, the smaller DOF and vice verse. This can be to your advantage or dissadvantage depending on what you want to achieve. If you don't want to wait for the 4/3rds, go get a K-5 and a 400mm f5.6, which will give you a crop corresponding to a 600mm on a full frame sensor, but somewhat larger DOF. 400mm f5.6 are basically the longest lenses where there are plenty of modestly priced second hand lenses with MF or AF. Above that, prices go upward exponentially (not counting 500mm mirror lenses). So to the OP, I wouldn't be surprised if the next Panasonic GH, the "GH3", is knocking on the door of the K-5 with regards to ISO and DR.
John, it looks like the DA* 16-50mm picture is back focused compared to the GH2. Yes it is. At this point, I'm kind of fed up with the K20d AF, and included the back-focused shot as an indictment of its poor AF. I placed the center focus point on the blue label and the K20d chose to focus on something else. That's one area where the GH2 cleans the K20d's clock - AF performance - both accuracy and speed. 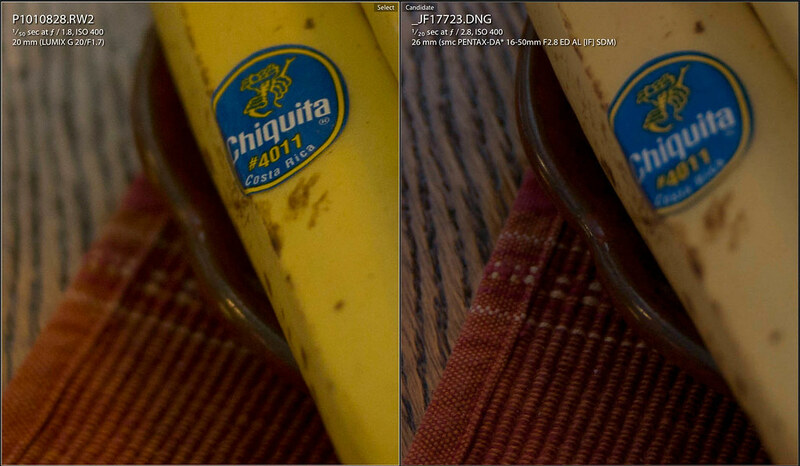 That aside, the GH2 records as much detail as the K20d and similar DR, but over-saturates the colors (even in RAW). To the K20d's credit, it's bananas are a more accurate depiction.